Confolens is an attractive rural medieval town in the Charente region of South West France and is situated on the river Vienne at the confluence with the river Goire (the name comes originally from the word 'confluence'). Confolens sits in the middle of the triangle of 3 large towns Angoulême,(65 KM South West ), Limoges (55 km East) and Poitiers (70 km North). Just 40 Minutes of airports Limoges , a couple of hours drive from Bordeaux and La Rochelle on the Atlantic coast, we enjoy the best of all worlds! Confolens covers 20 square km with a population of just under 3,000. The current population is mix of predominantly French with a growing influx of English and Dutch. Confolens is twinned Pitlochery in Scotland and regular visits between the towns take place every year. More recently students from both towns have enjoyed work placement exchanges. Regular markets, musical events and sports activities keep us all busy. With so much going on throughout the year you can happily spend days exploring our delightful town and surrounding areas. Confolens is home to the International Folklore Festival, a week long event in August each year, attracting hundreds of performers and thousands of visitors to the town. Surrounded by beautiful countryside, oak and Chestnut trees, pine forests and lakes, and wonderful wildlife, Confolens is a delightful rural location and a perfect getaway for a quiet, relaxing, stress free holiday. 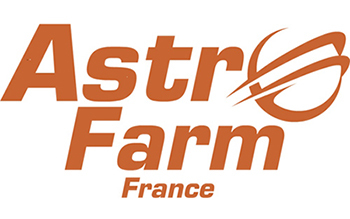 In addition to the astronomy at Astrofarm, you can enjoy exploring the old town, the river and park and will want to come back again and again to our little corner of paradise. Click here to find out what you can do in and around town.